three goals; Katie DeSimone assists on winner. Accettella received the entry pass from Katie DeSimone and raced from right to left across the front of the cage. As she reached the top of the crease, she lowered the head of her stick, flipped her wrists and shoveled in a backhanded goal with 1:28 left in overtime, sending the St. Anthony’s bench into a frenzy. 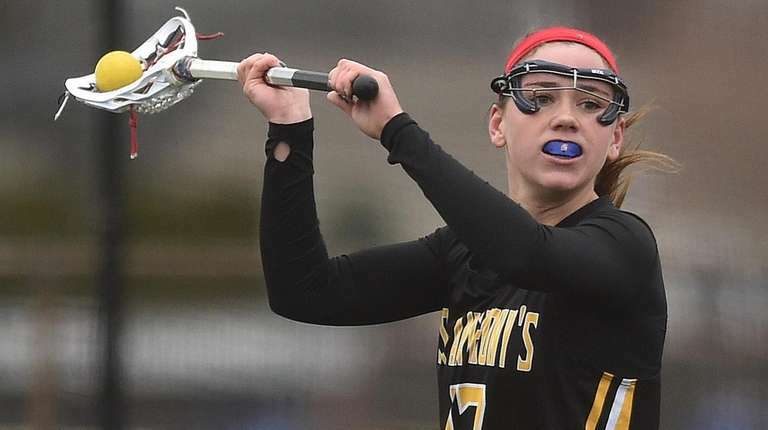 The Friars had just beaten host Garden City, 11-10, after a wild 9-1 run in the second half gave St. Anthony’s a 10-8 lead in the annual non-league rivalry game on Tuesday. Garden City (2-1) scored the game’s first seven goals and nearly pitched a first-half shutout, but Sophia Iaccino assisted Victoria Goldrick with 55.4 seconds left to send St. Anthony’s (3-0) into halftime facing a 7-1 deficit. The main culprit, among other lesser issues, was in the draw circle, where Garden City held a 7-3 advantage. That changed after the intermission. 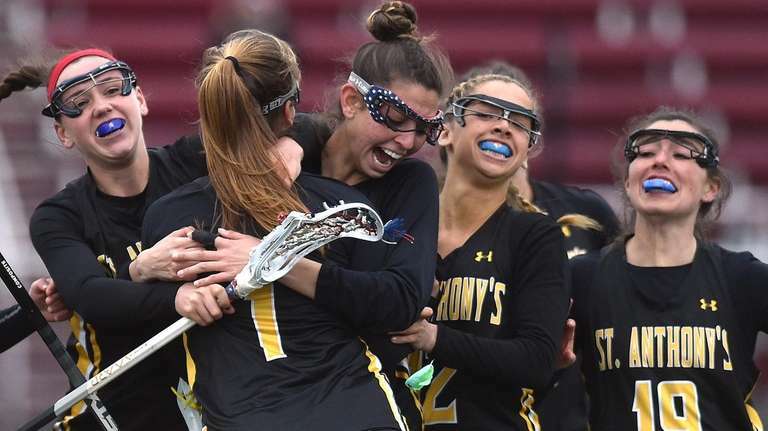 St. Anthony’s drawtaker Charlotte Verhulst helped her team win 10 of the 14 draws in the second half. She and Hunter Roman were a consistent connection, as Verhulst pushed and pulled to make sure the ball went in her direction. “It was all about Charlotte. She did it,” Accettella said. Verhulst had three goals and assisted Accettella’s goal — the third man-up goal within 31 seconds — that tied the score at 8 with 13:32 remaining in regulation. Accettella fed Goldrick to go up 9-8, then DeSimone struck for a 10-8 lead. Jen Kubler and Alex Hopkins (four goals) scored consecutively for the Trojans to tie the game, and Emily Gaven made two point-blank saves in the final 40 seconds to send the game to overtime. Accettella and Verhulst, both Stony Brook commits, willed St. Anthony’s to an emotional early spring win. It was “The Twizzler” that made it happen. Accettella is also fond of the candies of the same name. They’re sweet, just like the taste of victory.